Eviction Cleanouts is Cleaning Up. Please Wait!! We specialize in trashouts, site clean-up, furniture removal, eviction cleanouts, foreclosure cleanouts, and other services to quickly prepare your property to a clean, market-ready condition, with the fraction of the cost that the usual cleanup companies charge you. Best of all, zero hassle on your part. LET US DO THE HEAVY LIFTING SO YOU CAN START EARNING! EvictionCleanouts will do it for you. Call (954) 226-3333. Let us do the heavy lifting so you can start earning. 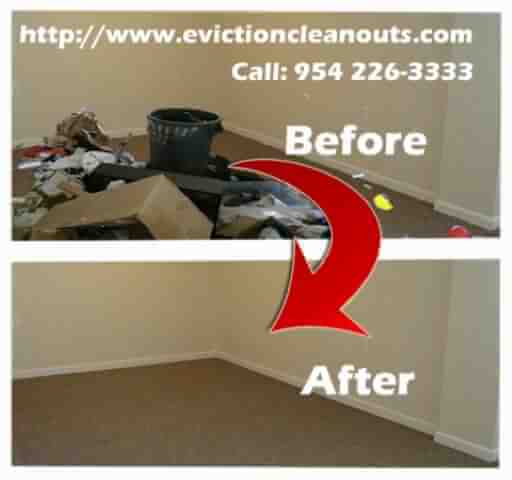 EvictionCleanouts.com specializes in foreclosure or eviction clean outs. 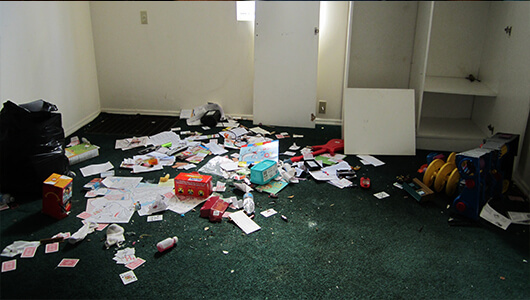 We help local apartment owners, landlords, and property managers remove all items left behind by former occupants. We do simple cleanouts by bagging and removing furnitures and debris from the property. 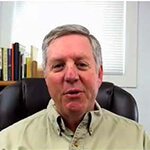 What is the major headache that is common to property owners, landlords, property management companies, REO managers, real estate agents, and the banks, after an eviction or foreclosure? The Condition of the Property. In our experience, former occupants usually do not take good care of the property before an eviction or foreclosure. You can expect furnitures being left behind, besides the usual trash and debris that is common every move-out. The solution? EvictionCleanouts.com. Whether you need to clean a property because of an eviction or foreclosure, we will do it for you. We are in the Eviction Business, Eviction Cleanup is a division of Assisted Evictions, Llc, so we understand the plight that you face after every move-out. We will prepare your property and get it ready to a clean, market-ready condition, with the fraction of the cost that the usual cleanup companies charge you. Best of all, zero hassle on your part. Call us now--(954) 226-3333. LET US DO THE HEAVY LIFTING SO YOU CAN START EARNING! . EvictionCleanouts.com is a division of Assisted Evictions, Llc. We are a team of Eviction Specialists serving Miami-Dade, Broward and Palm Beach. 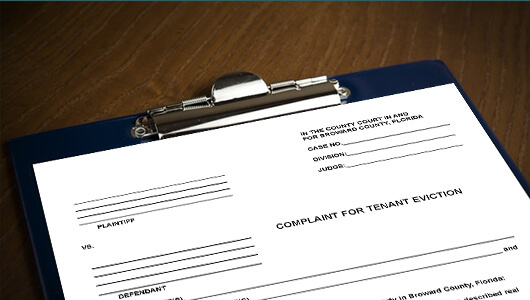 Our team is composed of eviction specialists, court-appointed process servers, and an eviction cleanout crew. 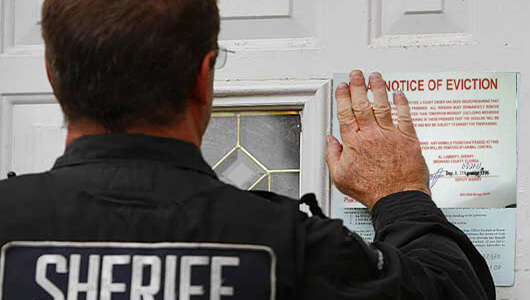 We can prepare the documents for eviction, file it in court, have our team of process servers serve the summons, meet the sheriff on the property, change the locks, and clean out the trash after the occupants have left the premises. We are your one-stop shop for eviction services. We have a professional eviction cleanout crew that will do basic cleanup of your property, and get it to market-ready condition in no time. All our clients have always been satisfied with our work. Our cleanup crew will always maintain a high level of professionalism and will finish the job in an exceptional manner. 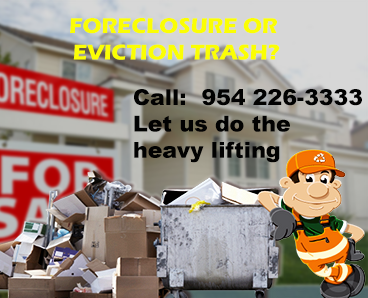 Our foreclosure and eviction cleanouts are always done with the client's welfare in mind. We understand that the sooner we finish the job, the quicker you can start earning. We also understand that in order for you to earn, the property should be marketable. With these in mind, we try our best to do our jobs quickly without compromising quality. We believe that premium service shouldn't always be at a premium price. That is why we offer our clients our exceptional services at a fraction of the cost other cleanout companies offer. We aim to develop long term working relationships with our clients. Our thrust is to take care of our clients, and not to break the bank. If you are a landlord, property manager, or REO Manager, and frequently need to deal with evictions, why not go to one place and ask a professional to do everything for you. We are a division of Assisted Evictions, Llc, and we are a full service eviction company. We do the whole nine yards when it comes to evictions. Why go somewhere else, when you can go to just one place that does it all?
" We call on David's team of Eviction Specialists. They take care of everything. From preparing the documents for evictions to cleaning the trash that the previous tenants leave behind. The process is quick and efficient. Thanks for making our jobs easier. " " Quick and efficient group of workers. Very thorough and systematic. The foreclosed cleanout was as promised. The property was ready in no time at all. Thanks! " " Very professional and quick! I would recommend Eviction Cleanouts to anyone who's in need of a cleanup service. Easy to set up an appointment and nice to deal with. " Do you know that incorrectly filing a 3-day or 5-day notice is one of the most common reason why a suit for eviction is dismissed? It is such a precise process that it needs to be done correctly. The same is true when preparing the "Suit for Eviction". To avoid these mistakes, and waste your time and money by going through the process again and again, hire a professional. Call us, (954) 226-3333. Let our Miami-Dade, Broward & Palm Beach eviction professionals prepare and file everything for you. 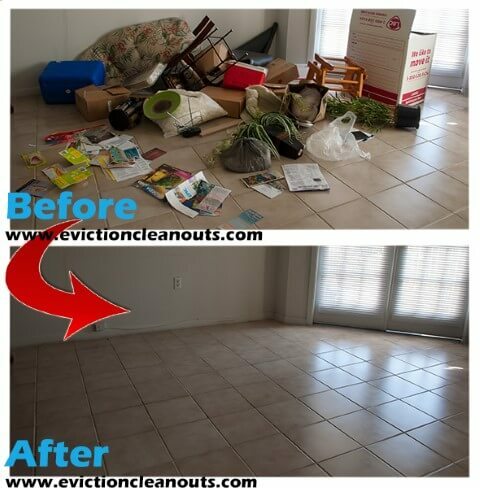 **EvictionCleanups.com is a division of Assisted Eviction, Llc. We are also a full eviction service company--"Your one-stop shop for your eviction needs!". Proper preparation of eviction documents and correctly filing the documents in court are essential components to an eviction . While the thorough preparation of documents and it's filing are being handled by our group of eviction professionals, the delivering of the eviction packets and summons are undertaken by our court-appointed process servers. 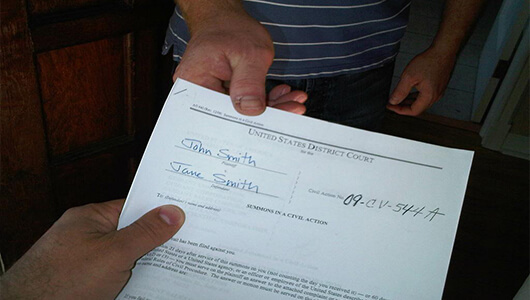 The Service of Process is an integral part of the eviction process. That is why our team of process servers, all court-appointed and certified, will exhaust every means to have the legal documents served and the proof of service filed in court in time. Let our Process Servers serve your 3-day notices, 5-day notices, evictions and summons in Miami-Dade, Broward & Palm Beach. Call (954) 226-3333. Once the "Writ of Possession" has been served, the tenant is usually given 24 to 48 hours to vacate the premises. The Sheriff then calls the landlord that the Writ has been served. The next and final step would be the execution of the "Writ of Possession". It is when the landlord takes possession of the property. It is crucial to have someone meet the sheriff during the execution of the writ, in case a problem occurs. There will be instances when the tenant is not around but the property is still filled with belongings. That is why it is very important to have someone representing you present at the time the sheriff executes the writ, and to have someone change the locks right away. We have a team who are experienced and trained specifically to handle these kind of situations. Call us, (954) 226-3333 and have an experienced eviction specialist meet the sheriff and change the locks of the property. Now that you've evicted the tenant, the next phase would be to have the property cleaned out, so it can be rented out or sold in the market, as quickly as possible. We specialize in trashouts, site clean-up, furniture removal, eviction cleanouts, foreclosure cleanouts, and other services to quickly prepare your property to a clean, market-ready condition, at the fraction of the cost that the usual cleanup companies charge you. Call us, (954) 226-3333. Let us do the heavy lifing so you can start earning! For enquiries feel free to send us a message, and we'll get back to you as soon as possible. Click the "Pay Now" button to make a payment. (**eg. Eviction Cleanup of 123 NE 123 Ave., Ft. Lauderdale, FL 33301).